I will admit, I have trouble with prints. I love stripes, I can handle plaid, but beyond that, I get a little shaky. One of my coworkers likes to say "Prints are personal," which is true--you either love a print or hate it. So, thanks to Balenciaga's highly influential Spring 2008 runway show, we have an array of floral prints to choose from this season. The good news is that if in the past, you've found floral prints too proper and fussy, there are a ton of brightly colored, abstract, adventurous new designs to choose from. The bad news? With so many great prints out there, you might have trouble making a decision. Thakoon's particular talent is that he manages to combine whimsical, feminine elements with architectural, technically intriguing designs. 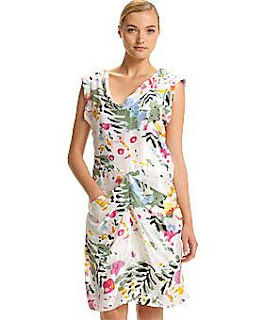 This dress has a sweet floral print, but the asymmetrical seams give it a cool draped look that's anything but grandma-like. His underwear-as-outerwear dresses got all the attention on the runway, but for spring, Marc Jacobs also sent out some crazy (but in a good way) floral prints in technicolor colors. 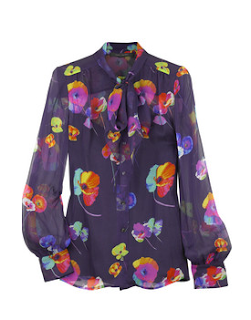 This poppy-print blouse is almost conservative, but the shocking hues keep things interesting. 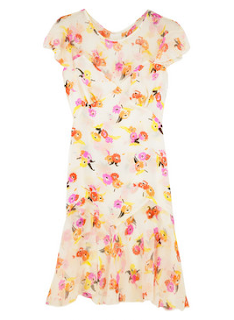 Stella McCartney also has some great floral prints. 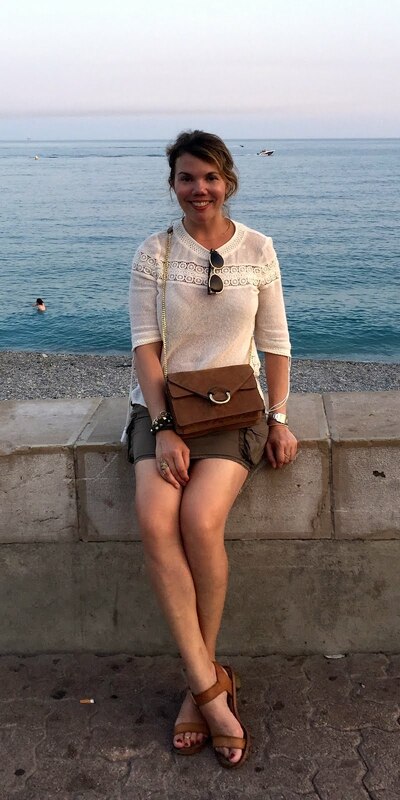 My grandma (who was a very stylish lady, and an artist at that) would have loved this blouse--its soft lines remind me of French impressionist paintings. I swear by her swimsuits, but Shoshanna makes great-fitting dresses too. This belted dress is so well tailored (and equipped with a well-designed understructure) that it could almost pass for Oscar de la Renta. The print is not what I'd normally go for, but for some reason, I find the colors and Marimekko-inspired print refreshing. This Lacey Parker dress is so light and airy, it almost begs for some toughening-up. I'd wear it belted over skinny jeans, or layered over a long-sleeved tee and with some clunky riding boots. 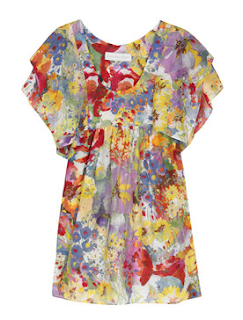 The one floral-print dress I do own happens to be made by Anna Sui, and for good reason--Sui designs her own totally unique prints, which she vigorously protects. This one is pretty feminine, but it's balanced out by the simplicity of the cut. I like the idea of a floral top, especially one that can be tucked into high-waisted pants, because it's enough to convey the trend without totally overwhelming your body. 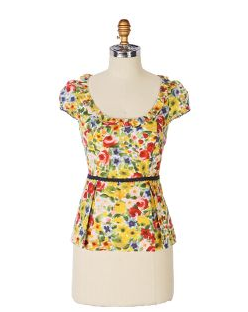 This top from Anthropologie is a strong contender. I like this swing tank from Alloy because the pattern is definitely more 1970s than 1950s. The colors are very summery too, and the shape is easygoing. 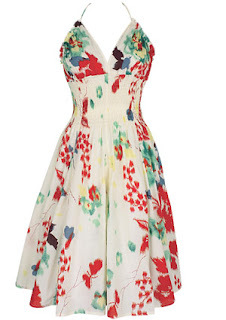 Then again, you can't go wrong with a classic, like this retro Kerry Dress from Delia's--the floral-print sundress is indisputably a summer staple.